Dockless scooters were the headliner in their first year at South by Southwest. 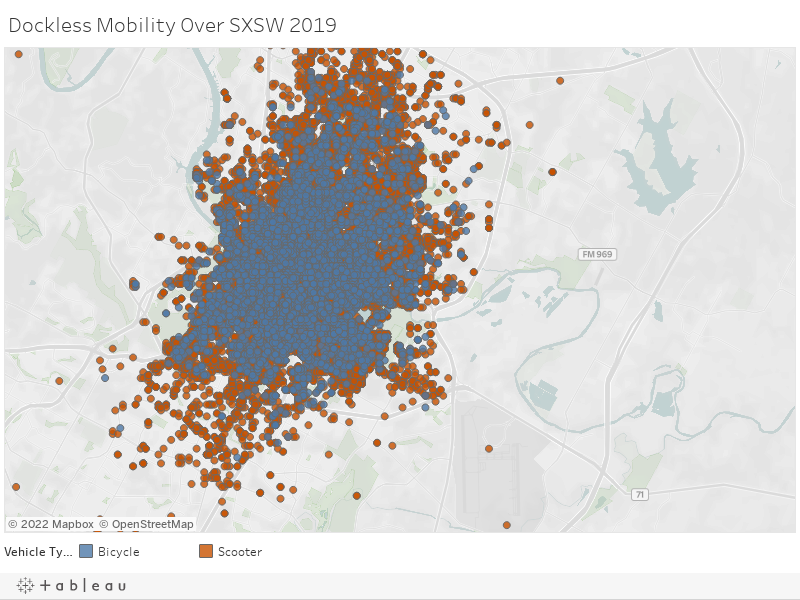 City data show the scooters outpaced rentable dockless bikes during the festival, accounting for nearly 434,000 rides over the 10 days of SXSW – 12.3 percent of the 3.5 million scooter rides since the scooters descended upon Austin last April. It’s important to keep in mind that city data don’t measure rides under 0.1 mile. 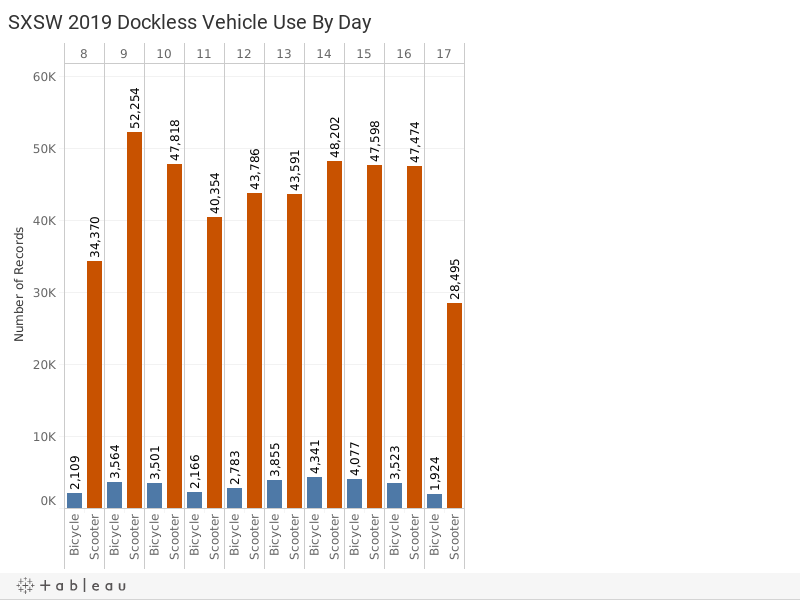 It’s also important to keep in mind that the city is still evaluating how exactly it plans on regulating the usage of dockless scooters. While bikes have set rules for the road, scooters don’t. That gap in rules is set to close as soon as next Thursday, when City Council could amend the city’s transportation code to include electric bikes and scooters.